I am Puzinuz Amore Colette but my nickname is "Isa". 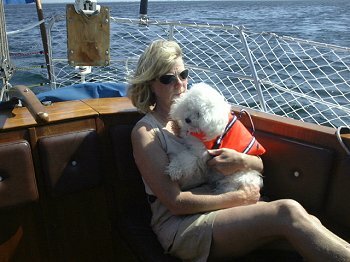 I am at sea and is a shipdog on my family's sailingboat. 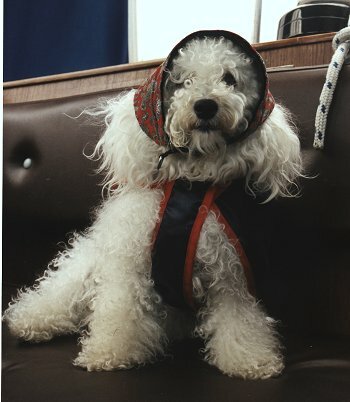 Of course I have the life jacket on! Puh! Getting tired of the sea life. Nice to be ashore again!